Like The Group, Mary McCarthy's classic tale about coming of age in New York, Joanna Smith Rakoff 's richly drawn and immensely satisfying first novel details the lives of a group of Oberlin graduates whose ambitions and friendships threaten to unravel as they chase their dreams, shed their youth, and build their lives in Brooklyn during the late 1990s and the turn of the twenty-first century. There's Lil, a would-be scholar whose marriage to an egotistical writer initially brings the group back together (and ultimately drives it apart); Beth, who struggles to let go of her old beau Dave, a onetime piano prodigy trapped by his own insecurity; Emily, an actor perpetually on the verge of success -- and starvation -- who grapples with her jealousy of Tal, whose acting career has taken off. At the center of their orbit is wry, charismatic Sadie Peregrine, who coolly observes her friends' mistakes but can't quite manage to avoid making her own. As they begin their careers, marry, and have children, they must navigate the shifting dynamics of their friendships and of the world around them. 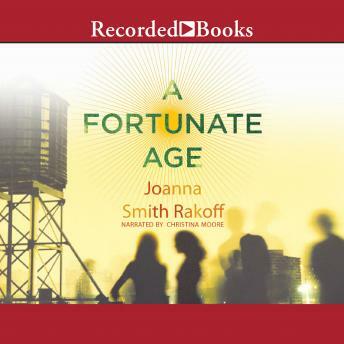 Set against the backdrop of the vast economic and political changes of the era -- from the decadent age of dot-com millionaires to the sobering post-September 2001 landscape -- Smith Rakoff's deeply affecting characters and incisive social commentary are reminiscent of the great Victorian novels. This brilliant and ambitious debut captures a generation and heralds the arrival of a bold and important new writer.